Las Vegas (June 13, 2018) – Today, Travel Leaders Network – one of America’s largest retail travel agency organizations – honored the top Affiliate Member agencies in the United States with its 12thannual “Power of the Partnership” (POP) Awards. 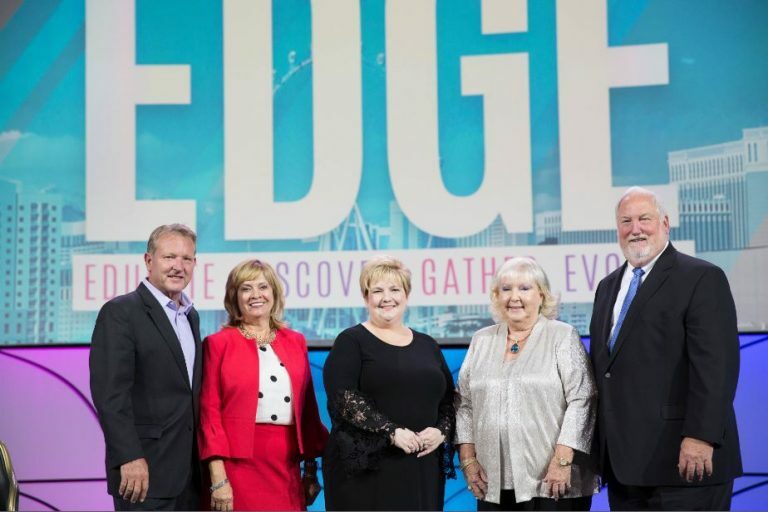 The award winners were celebrated on stage during the organization’s annual international conference, EDGE (Educate, Discover, Gather, Evolve), at Caesars Palace in Las Vegas. 2018 Top Worldwide Hotel Program Booking Agency – In addition, Travel Leaders Network honored the Affiliate Member agency with the highest level of bookings in the Worldwide Hotel program – which is Travel Leaders Group’s comprehensive hotel program offering the best available rates, added amenities and guaranteed commissions at over 33,000 global hotel brands and independent properties. 2018 Top Newcomer Member of the Year – The Top Newcomer Member of the Year award is given to the Affiliate Member agency that immediately demonstrated the highest level of support for the organization by adopting its programs, embracing its supplier partners, giving valuable feedback and attending key events. 2018 Top Distinctive Voyages Booking Agency – Travel Leaders Network also presented an award to its top member agency utilizing Travel Leaders Group’s “Distinctive Voyages” program, which features hundreds of sailings throughout the world that include exclusive, complimentary amenities. 2018 Distinctive Voyager Award – The Distinctive Voyager Award recognizes a Distinctive Voyages Host who exhibits exceptional professionalism, passion and service within his or her role as a cruise host and goes above and beyond in supporting the program. For travel agencies interested in learning more about the award-winning programs and diverse offerings that Travel Leaders Network offers agencies in leisure and luxury travel, business travel, honeymoon and destination weddings – as well as active and adventure travel – visit TravelLeadersNetwork.com.